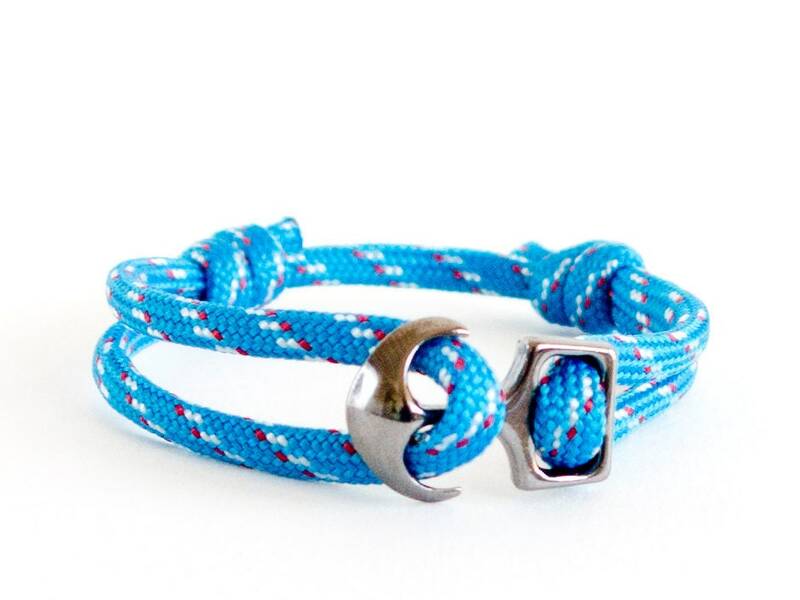 Unique in anchor bracelet couples jewelry, this women's and mens bracelet is nice anchor bracelet couples love gift idea. 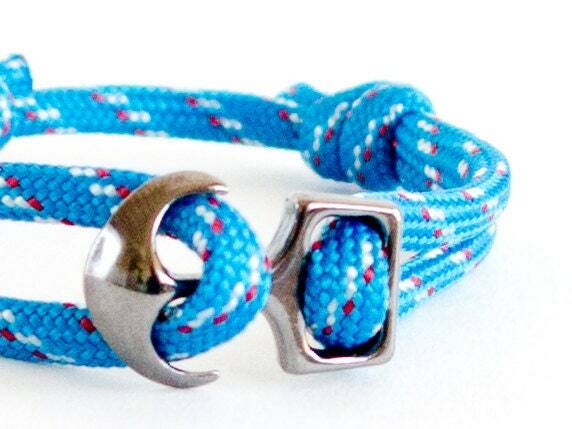 We handmade it as fashion anchor jewelry for couples of sky blue paracord rope and metal grey clasp link. 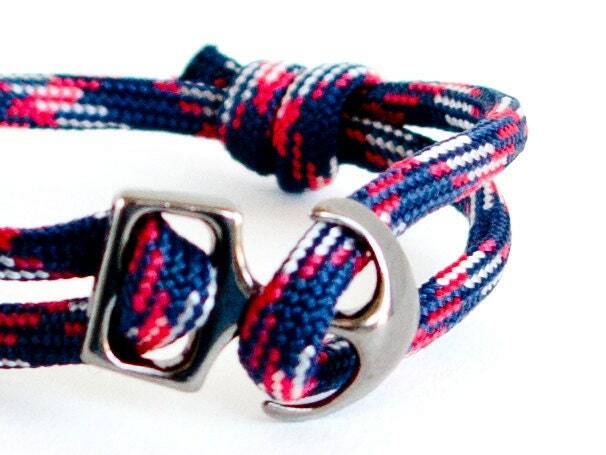 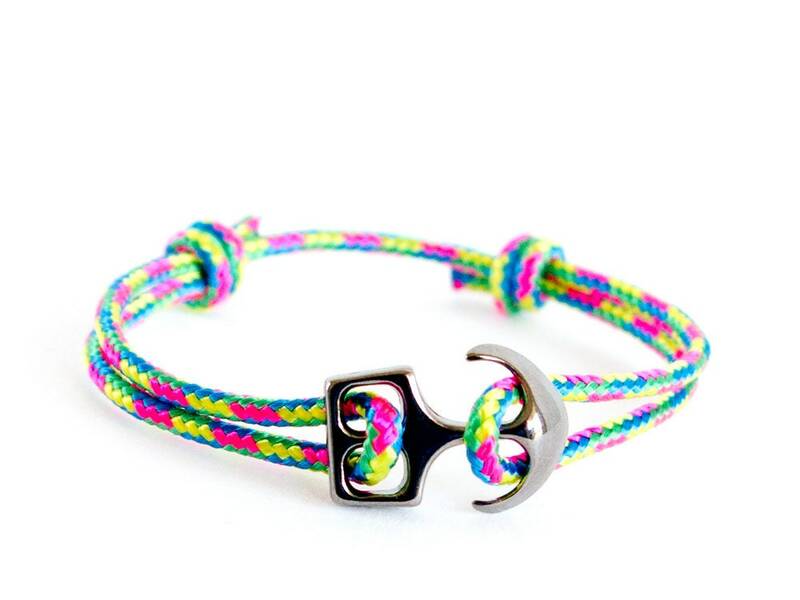 This bracelet is adjustable and one size fits all. 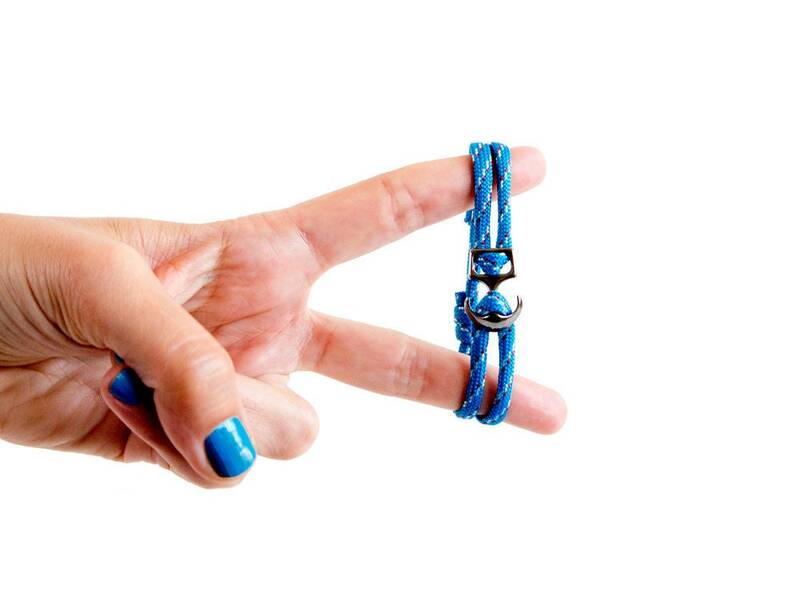 Slide the knots and in this way you can adjust the perimeter of the bracelet. 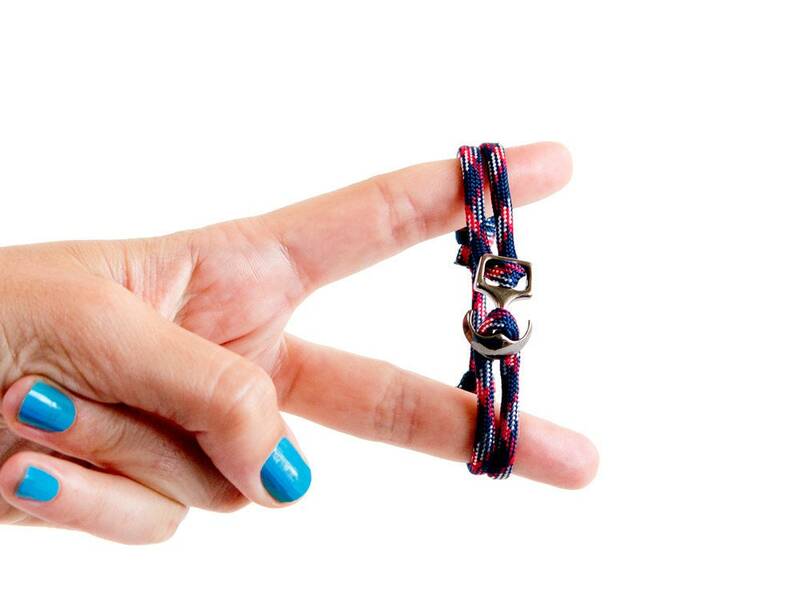 It can be used as ankle bracelet too. 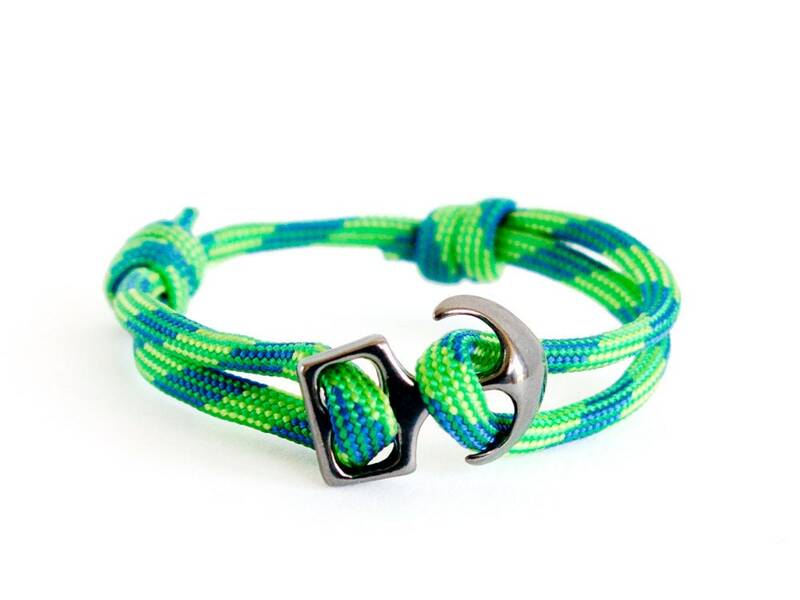 * Neon colors - neon green, neon pink, blue and green (rope). 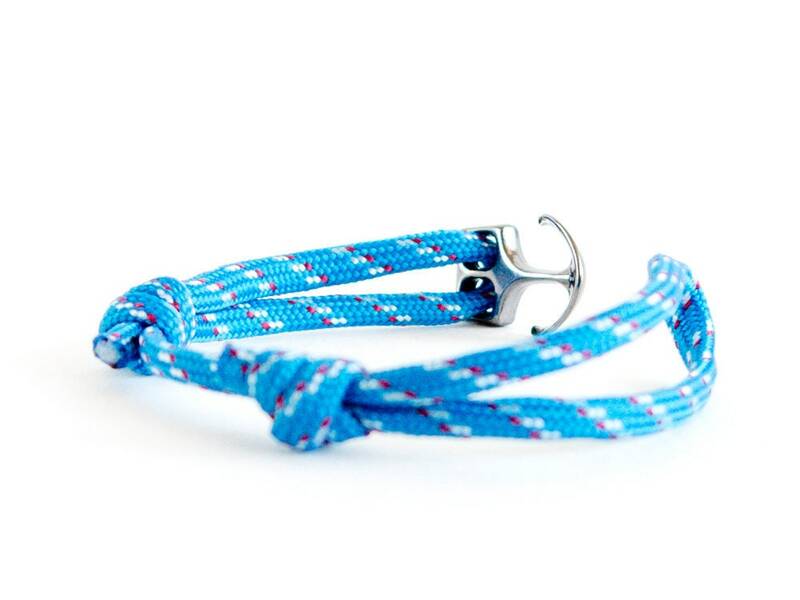 * The anchor clasp: 2.4 cm (15/16") to 1.6 cm (5/8"). 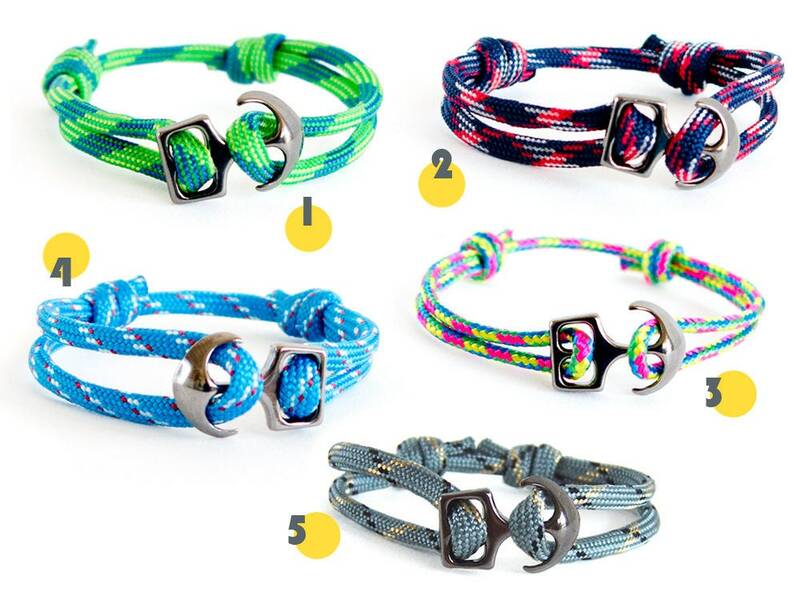 * The diameter of 550 paracord is 4 mm (3/16"). 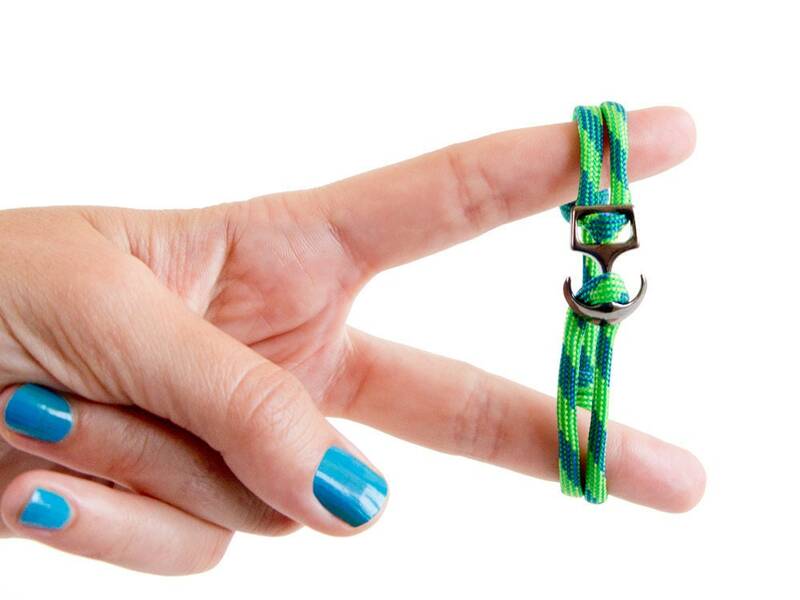 * The diameter of the colorful neon rope is 3 mm (1/8").